Marvel fans will be familiar with the legendary (and infamous) Batman one-shot comic, The Killing Joke, created by writer Alan Moore and artist Brian Bolland back in the 80s. In case you don’t know, the critically acclaimed, controversial comic acts as the origin story for one of the D.C. Universe’s most feared villains: The Joker. It also features one of the most shocking and disturbing events in the Batman story, which left fans reeling and had an extraordinary impact on the Marvel Universe. #1 it rocked the old DC Universe… and the new. On its publication in 1988, The Killing Joke was hailed by many critics as the definitive Joker story and one of the best Batman stories ever published. The comic became famous for changing how the Modern Age of Comics viewed the Batman series, bringing the comics back to their darker roots. 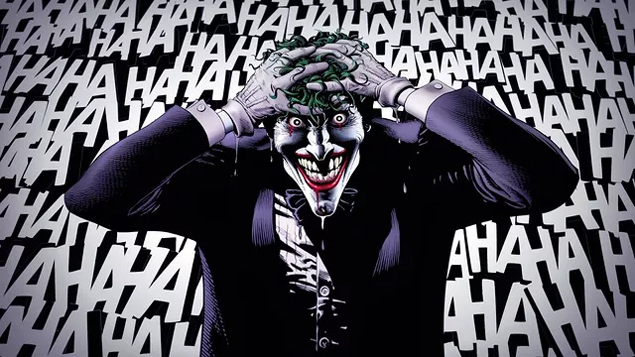 After the reboot of the Marvel Universe in 2011, many of the Batman stories were erased or altered, but The Killing Joke remained intact, such was its extraordinary impact and legacy. #3 …and reveals how one character would transform into another. One of the darkest elements of The Killing Joke involves the shooting and paralysis of Barbara Gordon, a.k.a. Batgirl. In the original Marvel universe, Batgirl never recovered; after the 2011 reboot, her paralysis lasted for three years only, but left her with crippling post traumatic stress disorder and terrible mental scars. The disturbing story line would ultimately lay the groundwork for Barbara’s evolving into the Oracle. The paralysis story line was controversial; even writer Alan Moore has questioned whether it was the right decision to include it, and a 2015 cover illustration by artist Rafael Albuquerque depicting the Joker draping a gun-toting arm around a tearful Batgirl, released as part of the character’s 75th Anniversary celebrations, was withdrawn after complaints. There’s no doubt, however, that such a powerful, if controversial, plot will make the animated movie a must-see. #4 it will feature the voice talents of Luke Skywalker. No, really. Some of you may recall that in the 90s, Star Wars actor Mark Hamill voiced the Joker in Batman: the animated series, which, like The Killing Joke, was praised by critics for taking Batman back to its dark roots, in a departure from the lighter tone which had been adopted by the live-action television series. In 2011, during Comic-Con, Hamill stated that he would be keen to voice the Joker for an adaptation of The Killing Joke and encouraged fans to campaign on his behalf; a facebook page was duly created by Hamill’s followers. After it was announced that an animated film was in development in July 2015, Hamill tweeted that he hoped to reprise his role as the Joker, and, just days later, his involvement in the project was confirmed. The artwork for the original comic was created by artist Brian Bolland, who envisioned a dark, Watchmen-esque world of muted, ‘November’ hues- the perfect backdrop for the dramatic storyline of The Killing Joke. Initially disappointed by the original color work in the 1988 release of the comic, which he described as ‘garish’, Bolland was able to bring his artistic dream to life in the 2008 anniversary reissue of the comic. With settings including a nightmarish fun fair, freak show and deserted industrial buildings, The Killing Joke is a gift for today’s animators, and fans are excited to see how this dark corner of the D.C. universe will be brought to life on the big screen. #7 we just can’t get enough of Gotham! There’s no doubt about it: Batman is big business, and, since the release of The Dark Knight, the Joker ranks as one of this century’s most terrifying villains. One thing’s for sure: an animated movie that brings one of the darkest chapters of this pair’s history to the big screen is a must-see for 2016!